Here on Designbeep,we also aim to help designers to find free yet high quality resources whether for your web design projects or graphic design projects.Who doesn’t like freebies? 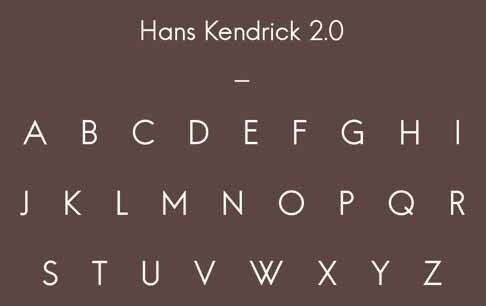 Well,although we bring together free font collections time to time we decided to share a free font everyday and today’s free font Hans Kendrick comes from Alfredo Marco Pradil. Hans Kendrick is a geometric grotesk typeface. Download the free regular weight.